What do the other cortical lobes do? The three remaining cortical lobes are all involved with some aspect of sensation and perception. 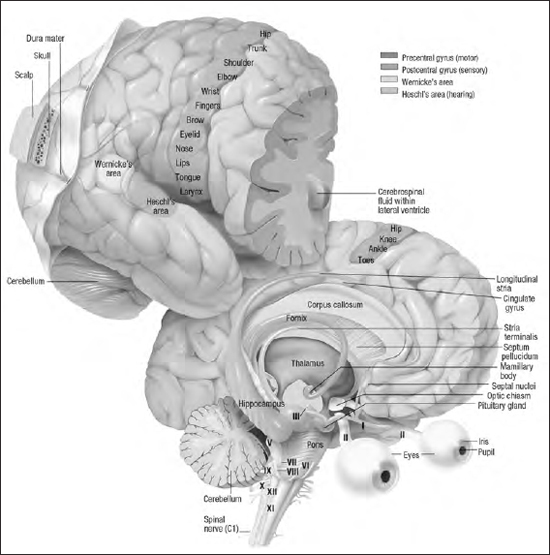 The occipital lobe is involved with vision. The parietal lobe processes both touch and taste (in the somatosensory strip) and the temporal lobes are involved with hearing. Additionally, the parietal lobes are involved with attention and visual-spatial information, while the temporal lobes mediate language, memory, and the recognition of familiar objects. Different areas of the brain control different functions (LifeArt).